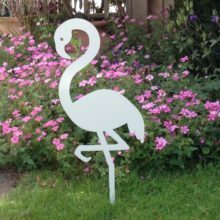 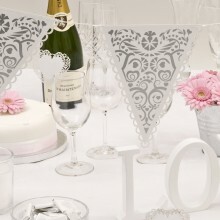 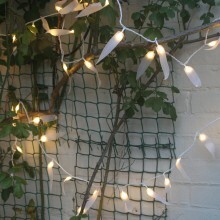 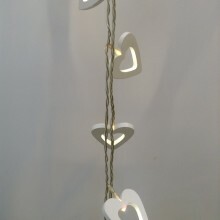 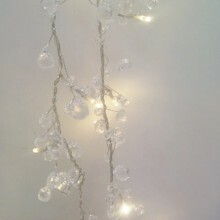 Contemporary White and Silver Bunting to decorate your wedding venue. 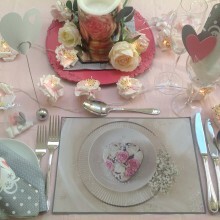 Adding the finishing touch to the Hearts and Roses Wedding Theme. 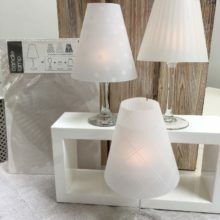 The Tea Light lampshade – a trio of patterned covers for stemmed wine glasses has multiple uses when considering table ideas for weddings, special occasions or dinner parties. 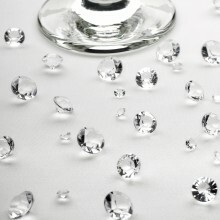 Create extra sparkle on your table with these table crystals. 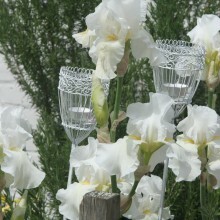 They look particularly good on a mirror as a centrepiece too. 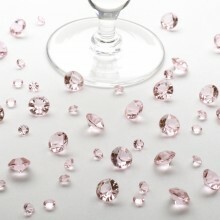 Supplied in a clear acetate box with different sized crystals, approximately 300 – 350 crystals per pack. 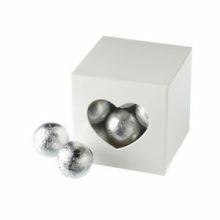 Ideal as a non-floral centrepiece when placed on a circular mirror with clear or light pink crystals to add glamour and sparkle. 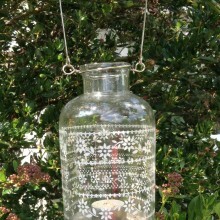 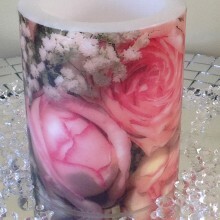 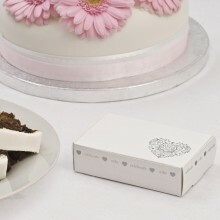 The deep wick area of this candle will hold a battery operated tea-light if your venue does not allow a burning candle.